Emerging data suggest that the 3-hydroxy-3-methylglutaryl coenzyme A (HMG-CoA) reductase inhibitors (statins) offer important benefits for the large population of individuals at high risk for coronary heart disease. This population encompasses a sizable portion of individuals who are also at high risk for drug-drug interactions due to their need for multiple medications. In general, statins are associated with a very small risk for myopathy (which may progress to fatal or nonfatal rhabdomyolysis); however, the potential for drug-drug interactions is known to increase this risk in specific high-risk groups. The incidence of myopathy associated with statin therapy is dose related and is increased when statins are used in combination with agents that share common metabolic pathways. Of particular concern is the potential for interactions with other lipid-lowering agents such as fibrates and niacin (nicotinic acid), which may be used in patients with mixed lipidemia, and with immunosuppressive agents, such as cyclosporine, which are commonly used in patients after transplantation. Clinicians should be alert to the potential for drug-drug interactions to minimize the risk of myopathy during long-term statin therapy in patients at high risk for coronary heart disease. Changing concepts of who will benefit from statin therapy along with more aggressive treatment goals for lowering LDL-C8,9 will significantly enlarge the population that will receive statin therapy in the future. At the same time, the pool of patients who will benefit most from statin therapy are the same patients who may be at the greatest risk for myopathy. Patients at highest risk for CHD—regardless of their lipid profiles—include older individuals, patients after transplantation, and patients with hypertension, diabetes, or multivessel atherosclerotic disease. These individuals are also the most likely to need multiple medications and thus are at greatest risk for drug-drug interactions while receiving statin therapy. Another group of patients, those with mixed hyperlipidemia, may benefit greatly from combination lipid-lowering therapy. Yet combinations of statins and fibrates are known to increase the risk of myopathy. The escalating use of statin therapy in patients with high global risk, the withdrawal of cerivastatin from the market, and the public concern about the risk for myopathy led to this review.6,10,11 The intentions of this article are to define the scope of statin-related myopathy, to consider the risks of myopathy in the context of the clinical benefits of statin therapy, and to identify patient subgroups who are potentially at increased risk for this complication. A heightened suspicion for myopathy in high-risk patients, coupled with patient education, can reduce both the frequency and morbidity associated with statin-induced myopathy. The first 5 major RCTs13-17 to be completed compared simvastatin, pravastatin, or lovastatin with placebo in more than 4000 patients for periods of 5 or more years. Of these 5 trials, 3 (the Scandinavian Simvastatin Survival Study [4S],13 the Cholesterol and Recurrent Events Trial [CARE],15 and the Long-Term Intervention with Pravastatin in Ischaemic Disease [LIPID] trial)16 were secondary prevention trials and 2 (the West of Scotland Coronary Prevention Study [WOSCOPS]14 and the Air Force/Texas Coronary Atherosclerosis Prevention Study [AFCAPS/TexCAPS]17) were primary prevention trials. A meta-analysis1 of these 5 RCTs, including more than 30 000 patients, determined that the overall proportional risk reduction with statin therapy, compared with placebo, was 31% for major coronary events, 29% for coronary deaths, 27% for cardiovascular deaths, and 21% for total mortality. More recently, data have been reported for 2 additional RCTs: the Heart Protection Study (HPS) and the Lescol Intervention Prevention Study (LIPS). Data from the HPS,2 which is the largest study to date, demonstrate benefits of statin therapy in patients (both primary and secondary prevention) at high risk for cardiovascular events. The HPS randomized 20 536 individuals in the United Kingdom aged 40 to 80 years with total cholesterol levels greater than 135 mg/dL (3.5 mmol/L) to receive simvastatin (40 mg/d) or placebo and followed survivors for an average of 5.5 years. Results showed a 12% reduction in total mortality, a 17% reduction in vascular mortality, a 24% reduction in CHD events, and a 27% reduction in strokes.2 Substantial benefits were seen in subpopulations, including women, people older than 70 years, and individuals with LDL-C levels less than 116 mg/dL (3.0 mmol/L). The HPS protocol encouraged the subjects' physicians to prescribe a non–study statin at their discretion, which they did for approximately one third of the study population. Thus, the actual benefit of statin therapy to participants has been estimated to be as much as 50% greater than the reported intention-to-treat results. The LIPS3 compared the effects of fluvastatin, 80 mg/d, with those of placebo in 1677 patients (ages, 18-80 years; total cholesterol level >135 mg/dL [3.5 mmol/L] with an upper cutoff of 270 mg/dL [7.0 mmol/L]; mean baseline LDL-C, 131 mg/dL [3.4 mmol/L]) following successful completion of their first percutaneous coronary intervention. In these patients, fluvastatin therapy resulted in a risk reduction of 22% in major adverse coronary events compared with placebo. Benefits were more pronounced in patients with diabetes (47% reduction in major adverse coronary events) and in those with multivessel disease (34% reduction in major adverse coronary events). The reported rates of serious adverse events (SAEs) among statins as a class have been very low (<1%) and include a slight risk for elevation of liver enzymes and myopathy.18 The risk for reversible elevation of liver transaminases (defined by alanine aminotransferase and/or aspartate aminotransferase levels >3 times the upper limit of normal [ULN]) is approximately 1% for all statins.19 At doses investigated in clinical trials, these rates were not significantly different from those for placebo.12 The rates of elevated liver transaminase levels reported in product information literature ranged from 0.2% to 2.3%, increasing in a curvilinear relation to the statin dose. Product information for all of the statins recommends that liver function tests be performed before the initiation of treatment or dose increase. At the outset of a discussion regarding drug-related myotoxicity, it is important to define 4 conditions: myalgia, elevated creatine kinase (CK) levels with or without symptoms, myopathy, and rhabdomyolysis. Myalgia is a patient-reported symptom of muscle soreness or pain that has been associated with the use of all statins and is also common among placebo-treated patients. Although the physician must investigate any patient report of myalgia appropriately, most are not associated with any increase in CK values. Thus, statistical reports of myalgia found in clinical trial reports or product information are not helpful in determining risk for myopathy. Elevated CK levels are biochemical markers of the muscle damage associated with myopathy from any cause. Reference values for total CK in adults vary by analytical method and reference population. In the clinical setting, asymptomatic elevations of CK level of less than 5 × ULN may be considered benign, whereas elevations of 5 to 10 × ULN require evaluation. Myopathy has traditionally been defined as CK level greater than 10 × ULN with symptoms (eg, generalized myalgia, fatigue, or weakness). However, the definition of myopathy varies among studies and reports of statin-related myopathy are not based on a consistent definition. Case reports of myopathy associated with lovastatin or simvastatin began to appear in the literature around 198825; some involved concomitant use of gemfibrozil, cyclosporine, or erythromycin.26-30 In 1990, Pierce and colleagues21 published an article describing 12 reported cases of myopathy or rhabdomyolysis associated with concomitant use of lovastatin and gemfibrozil that had been reported to the Spontaneous Reporting System of the FDA. The risk appeared to be greatly increased in patients with renal insufficiency who were taking cyclosporine. In the 12 cases reported, the median CK level was 15 250 U/L; 4 patients had myoglobinuria, and 5 had acute renal failure. The symptoms of all 12 patients resolved when both drug therapies were discontinued and patients were treated supportively. Subsequently, the package inserts of all statins have included warnings regarding risk for rhabdomyolysis when used in combination with gemfibrozil or cyclosporine. Cerivastatin was the only statin that had a contraindication instead of a warning for combination therapy with gemfibrozil. Staffa and colleagues5 summarized all cases of fatal rhabdomyolysis reported to the FDA prior to June 26, 2001, for which they could confirm a temporal association between statin use and rhabdomyolysis. By associating the number of cases with the number of prescriptions dispensed in the United States (according to data from National Prescription Audit Plus), the authors were able to assign a reporting rate per million prescriptions. There were 73 deaths and more than 480 million prescriptions, and the overall rate of reported deaths per 1 million prescriptions was 0.15 (Table 1). Based on a hypothetical average prescription length of 6 months, this would translate to approximately 0.03 deaths per 100 000 patient-years. Omar and Wilson4 recently published a review of all reports of statin-associated rhabdomyolysis cases reported to the FDA's Adverse Events Reporting System (AERS) database between November 1997 and March 2000, showing 601 cases of statin-associated rhabdomyolysis; 38 listed death as the outcome and many involved 1 or more drug-drug interactions (Table 2).While this information is extremely valuable, there are important limitations to the interpretation of adverse events reported through the AERS, primarily because cases cannot be viewed within an accurate context of drug exposure. Simvastatin was first marketed in 1987 and clearly has had far greater patient exposure than cerivastatin, which was initially marketed in dosages of 0.1 to 0.3 mg/d in 1998. Further, both underreporting and overreporting of SAEs are very likely to occur. Thus, neither precise actual occurrences nor incidence rates can be derived from these data. In the meta-analysis cited previously, LaRosa and colleagues1 reported that in approximately 70 000 patient-years of statin therapy,13-17 there was only 1 reported episode of myopathy; this was in a patient receiving simvastatin, 20 mg/d, in 4S.40 In the HPS, CK levels greater than 10 × ULN were identified in 0.09% of participants receiving simvastatin compared with 0.05% of those receiving placebo.2 However, it should be noted that in the HPS, patients with prior intolerance to statins were excluded. Further, there was a 5-week, single-blind treatment phase of simvastatin, 40 mg/d, and patients with CK levels greater than 3 × ULN or alanine aminotransferase levels greater than 1.5 × ULN during this phase were also excluded.2,41 In LIPS,3 there were no elevations in CK levels of 10 × ULN or greater or episodes of rhabdomyolysis in the fluvastatin group. Table 3 presents a comparison of the pharmacokinetic profiles of the 5 clinically available statins, as well as the profile for cerivastatin. Statins exhibit differences in half-life, systemic exposure (area under the curve), maximum concentration, bioavailability, protein binding, lipophilicity, clearance, metabolic pathways, presence of active metabolites, and excretion routes.43 Fluvastatin is available in both immediate-release and extended-release formulations, which have some differences in pharmacokinetic properties. Drug-drug interactions with statins are significantly more likely to be associated with myopathy compared with statin monotherapy. For example, one source reported that the incidence of myopathy for lovastatin monotherapy was 0.15%, but increased to 2%, 5%, and 28% in patients receiving concomitant niacin, niacin plus cyclosporine, or cyclosporine plus gemfibrozil, respectively.52 Reported drug interactions with statins that have been associated with rhabdomyolysis are given in Table 4. Most of the clinically important drug-drug interactions that occur with statins are attributable to the concurrent use of statins that are recognized by CYP3A4 and other agents that are potent inhibitors or substrates of this enzyme—in particular, the azole antifungals, some macrolide antibiotics, and cyclosporine. Other CYP3A4 substrate agents (eg, the calcium channel antagonists) may compete for the enzyme, thereby also potentially increasing the serum concentration of the statin. An interaction also occurs between statins and coumarin anticoagulants43; the coadministration of statins to patients receiving warfarin causes a small increase in the anticoagulant effect of warfarin that requires monitoring of the international normalized ratio and potentially a reduction in warfarin dosage. The mechanism of the interaction between statins and warfarin is uncertain; given that both CYP3A4 and CYP2C9 isoenzymes are involved in the metabolism of warfarin, competition with statins at this level may be a contributing factor in the potentiation of warfarin effects.43 Cases of rhabdomyolysis have been reported with the combination of warfarin and any statin,4 but it is not clear whether these cases were due to a warfarin-statin interaction. However, it should be noted that the risk for myopathy also appears to increase when statins are combined with drugs that may not be metabolized via the CYP3A4 pathway, such as fibrates and niacin. Drug interactions at the excretion level might potentially occur as a consequence of competition for carrier-mediated transport across the bile canalicular membrane. In addition, changes in the absorption and excretion of drugs independent of CYP metabolism can alter drug disposition and may contribute to the interaction potential of statins. A newly recognized class of active drug transporters, P-glycoproteins,54 are known to affect the disposition and bioavailability of many drugs including 3A4 substrates. P-glycoproteins are transmembrane proteins that function as drug efflux pumps that actively transport drugs from intestinal, renal, brain, and hepatic cells.54 Lovastatin and simvastatin are very potent and effective inhibitors of P-glycoprotein transport, whereas atorvastatin and pravastatin have less inhibitory activity.55,56 In contrast, fluvastatin is not a substrate of P-glycoprotein.57 Digoxin is a P-glycoprotein substrate, and its narrow therapeutic range makes any drug-drug interaction important. Acute interactions have been observed with simvastatin,58 and coadministration of atorvastatin, 80 mg/d, and digoxin for 20 days increased systemic exposure to digoxin by inhibition of P-glycoprotein59; therefore, monitoring digoxin levels is warranted with these agents. 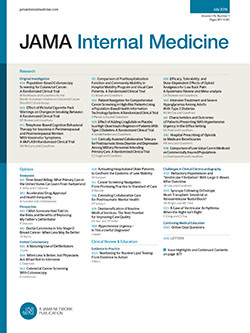 Administration of a single 40-mg dose of fluvastatin to patients receiving long-term treatment with digoxin did not result in any clinically significant effect on the digoxin steady-state pharmacokinetics.60 However, cases of rhabdomyolysis have been reported with the coadministration of digoxin and all statins,4 although it is not clear whether these cases were related to a digoxin-statin interaction. Despite the risk for statin-cyclosporine interactions, treating dyslipidemia is crucial in the posttransplantation population because cardiovascular disease is a major cause of death in these patients, accounting for nearly half of all deaths in kidney graft recipients.80 Dyslipidemia often worsens during the posttransplantation period, with increases in total cholesterol of 25% to 30% commonly found in renal transplant patients, along with concomitant increases in triglyceride and LDL-C levels.81 Because of the significant clinical benefits of statin therapy in this population, therapy is recommended with close follow-up. In 1992, Ballantyne and colleagues82 reported that 4 of 5 patients after heart transplantation who were treated with high-dose lovastatin (40-80 mg/d) in combination with another lipid-lowering agent developed rhabdomyolysis and 2 developed acute renal failure. However, lovastatin monotherapy at a dosage of 20 mg/d was well tolerated and did not result in myopathy in 15 similar patients. Fluvastatin (at dosages of up to 80 mg/d) has been studied extensively in renal transplant recipients. No instances of rhabdomyolysis have been observed during clinical trials in which patients received fluvastatin and cyclosporine concomitantly.88,89 Fluvastatin is currently being investigated in the ongoing Assessment of Lescol in Renal Transplantation (ALERT) trial,89 which is an RCT designed to assess the effect of fluvastatin (40-80 mg/d) vs placebo on major adverse coronary events and all-cause mortality in renal transplant recipients (N = 2100) with mild to moderate hypercholesterolemia. Results of the 6-year trial are expected in early 2003. Following the withdrawal of cerivastatin, ALERT investigators reviewed blinded safety data for all adverse events reported at a mean follow-up of 4 patient-years. Overall, there was only 1 reported asymptomatic CK level greater than 10 × ULN, and there were no cases of rhabdomyolysis. Monotherapy with fibrates appears to pose an independent risk for myopathy that is greater than the risk posed by statin monotherapy. An analysis of data from 17 219 general practice patients in the United Kingdom90 found that the incidence rate for myopathy observed for the total population was 2.3 per 10 000 patient-years (95% confidence interval, 1.2-4.4), whereas the incidence rate for the population without hyperlipidemia and not taking lipid-lowering agents was 0.2 per 10 000 patient-years (95% confidence interval, 0.1-0.4). Although rare, myopathy occurred more frequently in patients using either statins or fibrates than in the general population; however, current fibrate users were 5.5 times more likely to develop myopathy than were current statin users. Fibrates are particularly effective in reducing triglyceride levels and raising high-density lipoprotein cholesterol (HDL-C) levels and have been shown to reduce clinical events in patients with low HDL-C levels.91 Because patients with mixed hyperlipidemia can rarely be treated successfully with a single drug, statin-fibrate combination therapy may offer a therapeutic advantage in improving lipid profiles, although the potential clinical benefits of this combination have not been reported. Mixed hyperlipidemia is frequently identified in patients with diabetes; it is characterized by a highly atherogenic lipid pattern of increased total cholesterol and triglyceride levels in combination with decreased HDL-C level.92 For these patients, the absolute risk for a cardiovascular disease event is high, and the benefits of combination therapy are likely to be substantially greater than the risk for an SAE. Cardiologists and lipidologists are the primary prescribers of statin-fibrate therapy, but primary care providers, particularly in the United States, also increasingly prescribe the combination. In 1998, a consensus paper on the clinical use of fibrates in the treatment of dyslipidemia and CHD affirmed the benefits of statin-fibrate therapy in patients with type IIB hyperlipidemia104; however, it cautioned that this combination should not be used by the following groups: elderly patients (older than 70 years), patients taking multiple medications, patients with renal disease or other severe illnesses, and patients who may not fully understand the risks of therapy. Fibrate monotherapy may impair liver function independently; therefore, patients with impaired liver function should not receive combination statin-fibrate therapy. Furthermore, fibrates, which are excreted primarily through the kidneys, may increase the risk for myopathy in patients with even mild renal impairment. While hepatic toxicity with statin-niacin therapy has been minimal, transaminase elevations are frequently encountered, particularly with the use of a sustained-release niacin preparation given twice daily. As with monotherapy with either agent, patients being treated with statin-niacin combination therapy should have liver transaminase levels monitored and should be cautioned to report any symptoms that suggest myopathy. A review of data113 from clinical outcome trials in which more than 12 000 patients received simvastatin for several years revealed that approximately one third of patients randomized to simvastatin were receiving concomitant therapy with a calcium channel antagonist. There was no evidence that the concomitant use of calcium channel antagonists, including diltiazem and verapamil, increased the risk of simvastatin-associated myopathy in these trials.113 However, more recently, enhanced cholesterol reduction has been reported with simvastatin use in combination with diltiazem, and 2 cases of rhabdomyolysis have also been reported in association with this combination,116,117 suggesting a need for some caution in using the 2 agents simultaneously. The risk of statin therapy must be considered in view of the remarkable clinical benefits associated with this class of drugs. Patients at highest risk for CHD obtain the greatest absolute benefits from statin therapy. Based on the findings from the HPS,2,118 if 1 million high-risk patients were to initiate statin therapy, approximately 5000 deaths would be prevented annually. This would translate into approximately 70 to 100 fewer myocardial infarctions, strokes, or revascularization operations for every 1000 patients with CHD, other vascular disease, or diabetes who were treated with statins for 5 years (7% to 10% absolute risk reduction). Based on the much larger population of people at risk for CHD who might benefit from statin therapy, 70 000 to 100 000 fewer major vascular events can be expected to occur for every million patients treated with statins. The absolute risk for SAEs with statin therapy is low. The estimated prevalence of CK levels greater than 10 × ULN with statin monotherapy is approximately 0.12%.24 In contrast, reports of SAEs with cerivastatin, alone and in combination with a fibrate or cyclosporine, were at least 20 times higher than with other statins, leading to the withdrawal of cerivastatin from the world market. The rate of myopathy noted in phase 2 and 3 clinical trials with cerivastatin was based on lower dosages than those used in phase 4 trials. Higher dosages (0.4 mg/d and 0.8 mg/d) were also often used in clinical practice, and despite clearly specified warnings in the product label and letters sent to physicians, cerivastatin was often prescribed in combination with a fibrate.5,33,34,70,119-124 In the AERS data reported by Staffa and colleagues,5 cerivastatin was associated with 3.16 reports of fatal rhabdomyolysis per 1 million prescriptions (approximately 0.63 deaths per 100 000 patient-years, based on a hypothetical average prescription duration of 6 months), whereas for lovastatin, simvastatin, atorvastatin, pravastatin, and fluvastatin, the rates were 0.19, 0.12, 0.04, 0.04, and 0.0 cases, respectively, per 1 million prescriptions (approximately 0.04, 0.02, 0.01, 0.01, and 0.00 deaths, respectively, per 100 000 patient-years). However, as we begin to treat more patients with high global risk, risk for SAEs is likely to increase because of factors such as increased age and multiple therapies. Although statins as a class share a common mechanism of action, the clinical experience with cerivastatin has shown that SAE rates differ substantially. Further research is needed to better understand the molecular mechanisms involved with statin-induced rhabdomyolysis and which pharmacological properties are critical in determining the risk for rhabdomyolysis. Education and follow-up are essential to preventing SAEs with statin therapy. Many of the reported cases of rhabdomyolysis in patients receiving cerivastatin and gemfibrozil might have been averted if clinicians had heeded warnings to avoid the use of this combination128 and if patients had been better informed about the warning signs. Statin-associated myopathy should be suspected when a statin-treated patient complains of unexplained, generalized muscle pain, tenderness, or weakness. Likewise, patients should be taught to recognize symptoms of myopathy and report them promptly. If myopathy is suspected, statin therapy should be discontinued and serum CK levels should be monitored. Early diagnosis and treatment of symptomatic CK elevations, including cessation of drug therapies potentially related to myopathy, can prevent the progression to rhabdomyolysis. Corresponding author and reprints: Christie M. Ballantyne, MD, Center for Cardiovascular Disease Prevention, Baylor College of Medicine, 6565 Fannin, Mail Station A601, Suite A656, Houston, TX 77030 (e-mail: cmb@bcm.tmc.edu). Preparation of the manuscript was supported by a nonrestricted educational grant from Novartis Pharmaceuticals Corporation, East Hanover, NJ. The authors acknowledge Risa Denenberg, MSN, from Advantage Communications, New York, NY, and Kerrie Jara, MLIS, from Baylor College of Medicine, Houston, Tex, for editorial contributions.